Passenger rights have been trampled in the friendly skies. Now passengers and lawmakers are fighting back. When airlines treat customers badly, passenger rights get trampled in Houston, in Texas and throughout the United States. Now passengers and lawmakers are fighting back. The dragging of a bloodied, elderly doctor off of a United Airlines flight in Chicago has blown the lid off of mounting passenger frustration. Dr. David Dao’s limp, bleeding body had barely been removed from the United Airlines flight at Chicago O’Hare when passengers posted videos of the ugly scene on social media. Public outrage took off almost as fast as the plane did for the flight. In the days since, satirical memes on Facebook have relentlessly excoriated United, but even more importantly, influential passenger groups and lawmakers have had enough. The Houston Chronicle reported Democratic Senator Richard Blumenthal of Connecticut has introduced a comprehensive Airline Passengers Bill of Rights and received the backing of a prominent business travelers group. Senator Blumenthal’s bill would curb airlines’ ability to bump passengers for higher paying travelers or crew members. It also would create the ability for passengers to sue for deceptive practices regarding fees and service, which was restricted by a prior Supreme Court ruling. “The right to sue would put desperately needed discipline into the U.S. commercial aviation system,” said Mitchell, who contends Congress never intended to strip consumers of their right to sue over such fundamental issues when it approved airline industry deregulation in 1978. 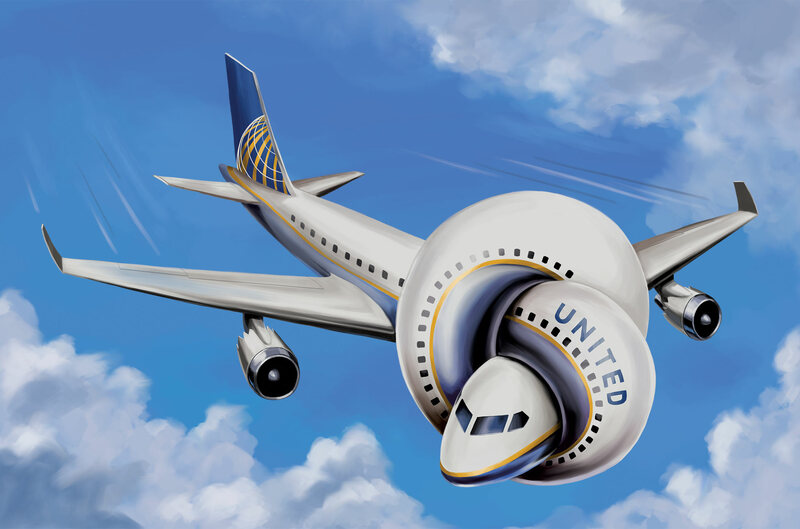 United’s president Scott Kirby, in a recent earnings call to investors, has indicated that the airline’s leadership will soon announce changes to booking policies and other issues, saying that corporate customers had expressed concern and “they want us to fix this and do the right thing.” This comes after CEO Oscar Munoz’s stumbling response in the immediate aftermath of the incident, blaming the passenger for being “disruptive and belligerent”, and absurdly calling his violent removal a “re-accommodation”. Does it really take an act of Congress to get airlines to treat paying customers decently? Nickel and diming passengers for simple courtesies, smaller seats and overbooking have made the public feel like cattle being stuffed into a truck, all to maximize revenue. If you’ve been harmed by the conduct of an airline or other company, The Callahan Law Firm is here to help you get justice. Let our experienced attorneys provide a free case evaluation to discuss your rights.